The Hong Kong Sheng Kung Hui Archives is planning an Open Day on 30th March 2019 (Saturday) from 10:00 am to 4:00 pm in the Bishop’s House with exhibition and guided tours of the Bishop’s House, located at 1 Lower Albert Road, Central, Hong Kong. Sheng Kung Hui Archbishop Paul Kwong will officiate at the opening ceremony and with songs rendered by a joint choir from St Paul’s College Alumni Choir and St Stephen’s Girls’ College Alumni Choir. The main theme of the exhibition is “Education for A Better Society: Historical Contributions of Hong Kong Sheng Kung Hui Schools.” Features of photos and documents from the archives will be exhibited. Due to limited space and capacity, registration for guided tours is needed on that day at the reception area on a first-come-first-served basis. For enquiry, please call (852) 2526 5221. On 15 February, the staff of the HKSKH Archives visited the Diocese of Macau Archives on 15 February. 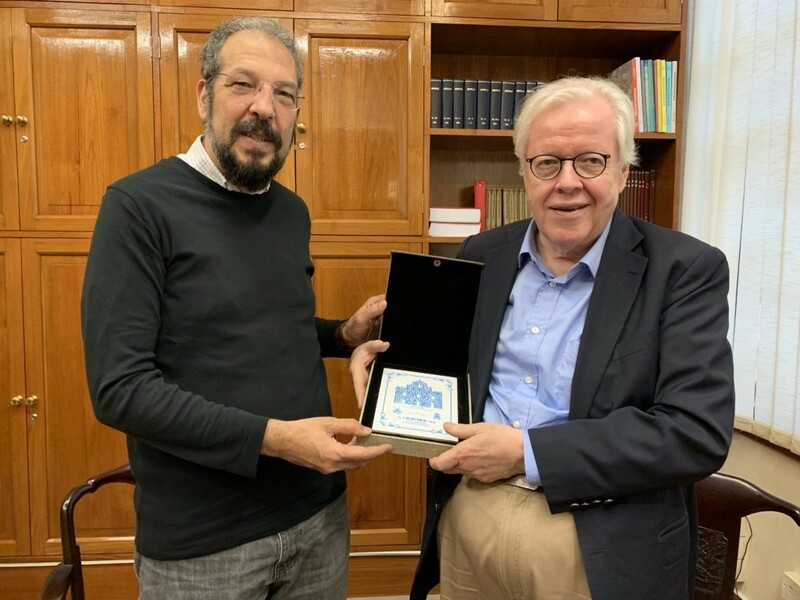 Fr Manuel Machado, Chancellor of Diocese of Macau, received the Reverend Professor Philip Wickeri of the HKSKH Archivist. The Diocesan Archives are located in Bishop’s House. They contain material dating back to the 17th or 18th century. Both parties agreed that there would be more exchanges between our two archives in the future.